Matusadona is a game reserve park in northern Zimbabwe. The park derives its name from the local Matuzviadonha Hills and is a stunning combination of flat plains and rugged mountain countryside. 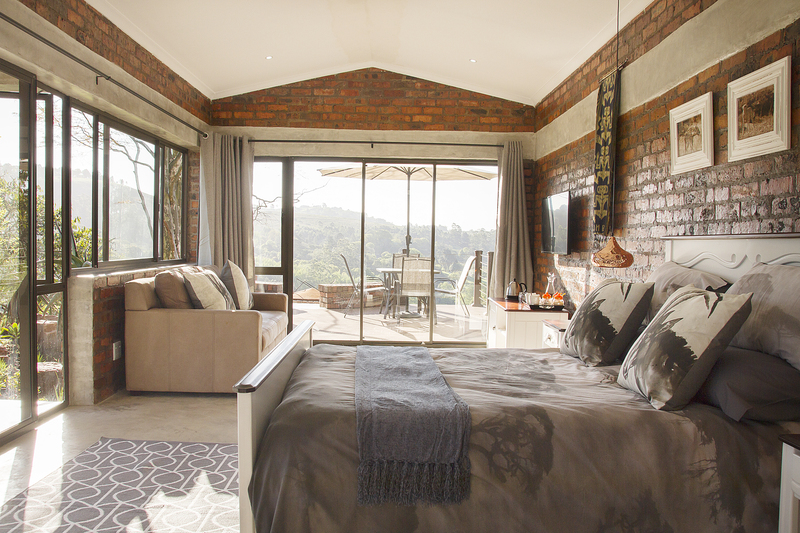 With his love for this region of Zimbabwe and his new found inspiration in the valley of 1000 hills, Zimbabwean born and local to the Upper Highway Area, Craig, created Matusadona Guest Lodge, South Africa. A piece of Zimbabwe in the Heart of Drummond! It is no easy task finding that special “home away from home” feeling and that is exactly what has been created at this special guest lodge. 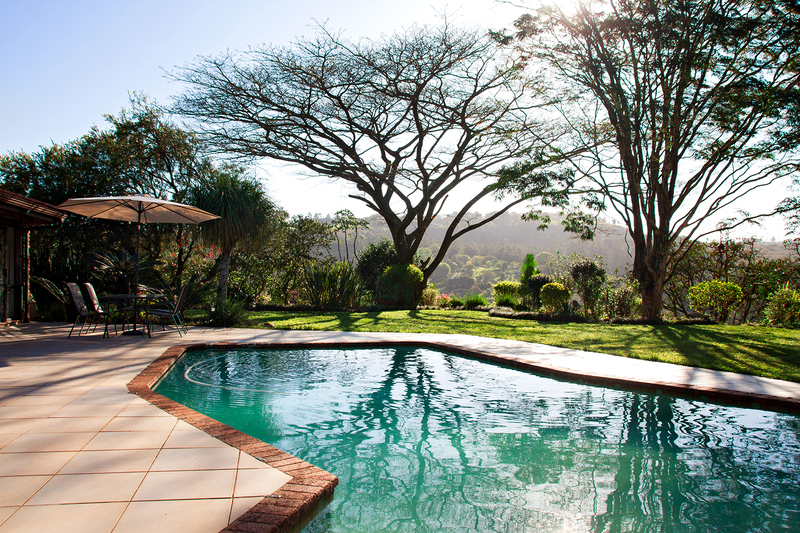 From the moment you drive through the gate and wait for the Impala to cross the road, you realize you have found a true gem, just a stone throw away from Durban. An oil on canvas aptly named “Matusadona Epic” hangs in the entrance hall of this special lodge offering guests a life-like experience of watching the dust streaming hot off the Zebra’s hooves as they gallop across the canvas with the Matusadona mountain range in the background. If you are looking for that extra special place with a “home away from home” feeling then this could be the Getaway you have been waiting for with its breath-taking and spectacular views, Matusadona is the ideal location for your next business trip or leisure getaway. Matusadona guest lodge sits on a spacious property with outdoor swimming pool for your chill sessions and gives views to the Impala, abundant bird life or Egyptian geese that lay around the dam. Waking to the quacking and honking of the resident Egyptian geese or hearing the distinct cry of the African fish eagle, evocative of the spirit or essence of Africa whilst eating your hearty breakfast or sipping your drinks around the Hungwe Fire-Lapa gives you the distinct feel of country living with nearby modern conveniences. Matusadona Guest Lodge boasts four beautiful lodge-style rooms each named after indigenous antelope. 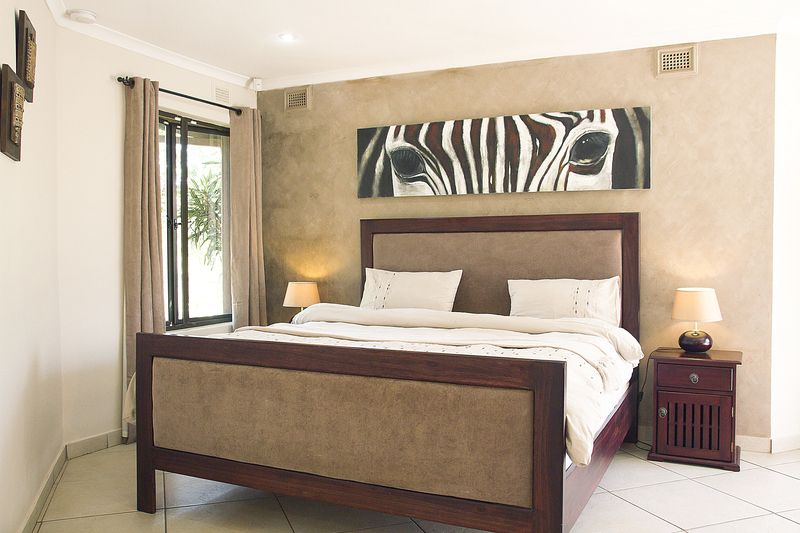 Every room has a double, queen or king size bed, its own ensuite bathroom with shower and bath, a full complement of linen, DSTV flat screen tv, tea and coffee tray for your convenience and views of the beautiful garden with pool view. Matusadona guest lodge also has a common area with DSTV tv with a full bouquet which is open to guests from 0800-1900 and dining area where you may take your complimentary breakfast or pre-arrange dinner from our order-in-service menu. Matusadona welcomes you for an unforgettable getaway. “Assagay”, a word used for a throwing spear historically used by the Xhosa of the Transkei, is taken from the underlying farm named Assagay Kraal, the Voortrekkers having named the early farms in the Natalia Republic after settling throughout the area in 1839. The area has many amazing attractions both historical and for leisure, in the area, for the whole family to enjoy. Hiking, horse riding, mountain biking or just enjoying the many bars and restaurants in the valley of 1000 Hills. A piece of Zimbabwe in the Heart of Drummond! Room cleaning is done daily with laundry service for long staying guests. Matusadona like to recommend that guests take an early morning or evening walk around the grounds and stunning gardens, guests get to see the wildlife, the dam and a great variety of birdlife. Matusadona offers an “order in” service with Restaurants in Hillcrest (Stretta and Q4 Prawns) whereby orders are collected on your behalf and set up with a private dining table, either in the dining area, out on the patio or the deck over the dam and Hungwe Fire Lapa, depending on the guests preference. Matusadona also offers a Braai service, which includes full set up, Matusadona provides the braai and charcoal and clean up after. 15 Cadmoor Road, Assegay, Kwazulu Natal. ‹ Did you know this about driving?